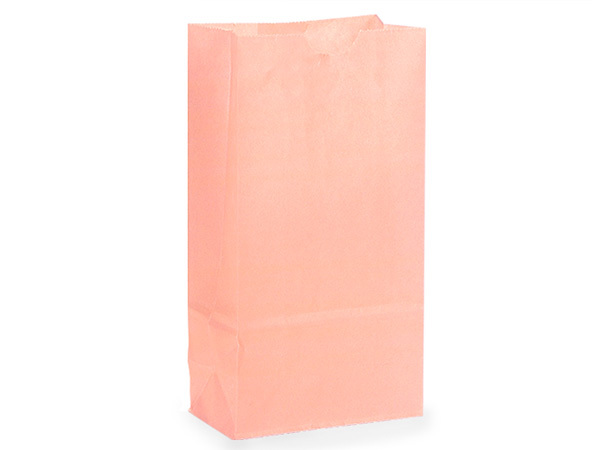 Petal Pink SOS style Paper Gift Sacks in bulk cartons. Small 5x3-1/8x9-5/8" sacks are used for gift bags, candy & cookies, lunch sacks and party favors. Made in the USA.